The UAE Space Agency is a federal agency that is organizing, regulating and advancing the UAE space industry. It is focused on raising national capabilities and the use of space technology in the UAE. As such, the Agency is helping the nation achieve its diversification plans and is supporting the creation of a knowledge based economy. To organise, regulate and support the space sector in the country and to enhance its position in this area. Encourage the development and use of space science and technology in the country and advance within the industry. The establishment of international partnerships in the space sector and to enhance the role of the state and its position in the space sector. Contribute to the diversification of the national economy through the space sector. Raise awareness of the importance of the space technologies, enhance national capabilities and encourage peaceful application of space research. Visit www.space.gov.ae to find out more information. Airbus is a global leader in aeronautics, space and related services. In 2017 it generated revenues of € 67 billion and employed a workforce of around 129,000. Airbus offers the most comprehensive range of passenger airliners from 100 to more than 600 seats. Airbus is also a European leader providing tanker, combat, transport and mission aircraft, as well as one of the world’s leading space companies. In helicopters, Airbus provides the most efficient civil and military rotorcraft solutions worldwide. Headquartered in Abu Dhabi, Etihad Aviation Group is a diversified global aviation and travel group driven by innovation and collaboration. Etihad Airport Services; Hala Group and Airline Equity Partners. Arabian Aerospace is at the heart of the industry across the region. Now in its ninth year, the magazine, officially supported by AACO and MEBAA – along with its daily online news updates, weekly newsletters and SHOW BUSINESS daily specials – has become a clear and trusted market leader for aerospace professionals operating in and with the Middle East. 2016 will continue to see the launch of new products to further enhance the information available with in-depth analysis of the region’s air forces; exclusive interviews with business leaders and more special reports. African Aerospace is blazing a trail across Africa with industry specific coverage of the latest issues and developments impacting the continent’s growing aerospace sector. Its quarterly magazine, online daily news service and weekly newsletter. Officially supported by AFRAA and AfBAA, African Aerospace is essential reading for industry professionals concerned with Africa’s aerospace industry, airlines, the business aviation sector and support services. Aviation Week Network is the largest multimedia information and services provider for the global aviation, aerospace and defense industries. Industry professionals rely on Aviation Week for analysis, marketing and intelligence. The product portfolio includes Aviation Week & Space Technology, AC-U-KWIK, Aircraft Blue Book, Airportdata.com, Air Charter Guide, Air Transport World, AviationWeek.com, Aviation Week Intelligence Network, Business & Commercial Aviation, Inside MRO, ShowNews, SpeedNews, Fleet and MRO forecasts, global maintenance, repair, and overhaul (MRO) tradeshows and aerospace & defense conferences. Visit www.aviationweek.com to learn more! ATLAS Aerospace Solutions, is a UAE based Aircraft Systems Integrator that is set to be a strong addition to the UAE and regional Aerospace market. Privately owned and locally managed business has a solid foundation built on the 3 decades of experience of Atlas Group. The company is uniquely comprised of both local and international, highly skilled and specialist personnel with an experience of more than 30 years. At Atlas Aerospace Solutions, we specialize in design, installation and modifications of commercial, private and military aircraft. Our in-house capabilities in integrating sensors, mission systems, cockpit voice recorders, cameras, radars and self-protection suites are unmatched locally. Our extensive experience in the region, coupled with in-depth local knowledge and world-class expertise gives us a competitive advantage against both local and global competition. We aim to become a world class design and production facility that offers leading edge and cost effective solutions. Calidus is a Defense Technology Development and Manufacturing Company, founded in 2015 and based in Abu Dhabi. Calidus provide Aerospace solutions and offer to its clients forefront products, software development and technologies from the design and engineering phase to development and manufacturing. Today, Calidus is involved in a number of major development projects, in collaboration with a wide network of suppliers and market leaders in the Aerospace field. Our best-known project is the B-250 a light attack aircraft with multi-role capabilities. The aircraft made in the UAE, has been presented and flown at the Dubai Airshow in November 2017. It features high-performance specifications and low operational costs. Block Aero is an AI-powered platform on a mission to digitize the global aerospace supply-chain and create digital passports for each asset secured with blockchain technology. We solve the problems associated with the inefficient, fragmented, and paper-based approach to operating, managing, and trading aerospace assets. Established in November 2015 as a joint venture between Mubadala Investment Company and IBM Watson, Cognit is a provider of end to end Artificial Intelligence solutions and Cognitive technologies for businesses, governments and other institutions. By creating tailored AI solutions for its clients, Cognit is shaping a new era built on business intelligence, enabling decision makers to bring informed thinking, transformation and disruptive innovation to their industries, while also solving those important societal challenges highlighted by the UAE Strategy for AI. As the exclusive provider of IBM Watson technologies in the MENA, Cognit collaborates with a growing ecosystem of organizations, entrepreneurs and students by leveraging multiple emerging AI technologies, with a heavy focus on the Arabic language. Cognit’s services extend from AI strategy formulation to the implementation and support of complex cognitive solutions. Cognit’s partners range indistinctly from healthcare, education, insurance or aviation, to government, defense or banking and finance. Injazat Data Systems is an industry recognized market leader in the region for Information Technology, Data Center and Managed Services delivered from the region’s most sophisticated and advanced facility, the Tier IV design certified Premier Data Center facility. Injazat serves a diverse range of customers and has developed a broad portfolio of capabilities to successfully address any organization’s most pressing technology challenges. Injazat supports customers in achieving their vision and allows them to focus on their core business. Injazat is fully owned by Mubadala, the investment arm of the Government of Abu Dhabi, the Capital of the United Arab Emirates. Injazat draws on its local expertise and presence combined with several global technology partnership networks to develop market leading services. Khazna Data Centers Limited (Khazna) is the only dedicated commercial wholesale data center provider in the UAE and is one of the largest data center infrastructure operators in the Middle East and North Africa region. Operations at its two state-of-the-art facilities in Dubai and Abu Dhabi are set to deliver a combined IT load of 24+ MegaWatt (MW). Khazna offers clients highly reliable infrastructure at globally competitive prices, while providing dedicated and secured IT space through which clients can operate their own equipment. The facilities are modular and highly scalable, allowing each facility to grow with the demands of every client. Khazna is majority-owned by Mubadala Investment Company. To learn more about Khazna please visit: www.khazna.ae. Masdar is Abu Dhabi’s renewable energy company which works to advance the development, commercialisation and deployment of clean energy technologies and solutions. The company serves as a link between today’s fossil fuel economy and the energy economy of the future. Wholly owned by the Mubadala Investment Company, the strategic investment company of the Government of Abu Dhabi, Masdar is dedicated to the United Arab Emirates’ long-term vision for the future of energy and water. For more information please visit: http://www.masdar.ae and connect: facebook.com/masdar.ae and twitter.com/masdar. Nibras Al Ain Aerospace Park is a 5 km² multifaceted project being jointly developed by Mubadala and Abu Dhabi Airports Company to support the establishment of a sustainable aerospace hub in Abu Dhabi. Nibras is a freezone that builds on the Emirate’s significant geographical, operational and financial benefits, and will attract world-class aerospace manufacturers, suppliers, research and educational institutions. Serving as a catalyst for Abu Dhabi’s economic diversification, Nibras will create employment and economic development opportunities, contributing greatly to the creation of a global aerospace industry in the Emirate. Nibras is now open for tenants to develop their own aerospace facilities, transforming Al Ain into a competitive aerospace and technology hub. Strata Manufacturing, the advanced composite aerostructures manufacturing company, and Horizon International Flight Academy are considered key Nibras launch projects that will accelerate investments into the Aerospace Park. The Advanced Military Maintenance, Repair and Overhaul Center (AMMROC) is also considered one of Nibras’ anchor tenants with a 1 km² area allocated for maintenance, repair and overhaul services. TS&S Aerospace provides comprehensive MRO services to customers around the world on aircraft engines installed GEnx, Trent 700, V2500 and PT6 series of engines, that are installed on a variety of applications including the Airbus A330, A320, Boeing 787 and 777 as well as other light aircraft. TS&S Industrial is a service and solution provider for a wide range of industrial gas turbines and driven equipment used by the oil & gas, process and energy industries throughout the UAE and the MENA region. In partnership with leading global Original Equipment Manufacturers (OEMs) such as General Electric, IAE, Rolls-Royce and Siemens, TS&S is able to provide world-class services and solutions with the highest level of a customized technical support to meet its customer’s requirements. To learn more about TS&S or Mubadala, log onto www.ts-s.ae or www.mubadala.com. Sanad Aero Solutions (Sanad) is an industry leader in integrated financing and leasing solutions for spare engine and aircraft components, wholly owned by Mubadala, the Abu Dhabi-based investment and development company. Sanad’s portfolio exceeds $1 billion of assets supporting a broad range of modern commercial fleet types for a growing number of industry leading global airlines. Launched in 2010 and headquartered in Switzerland, Sanad has offices in Zurich and Abu Dhabi. Strata Manufacturing PJSC (STRATA) is a composite aero-structures manufacturing facility based in the heart of Nibras Al Ain Aerospace, Al Ain, United Arab Emirates. The company was established in 2009, with production beginning in 2010. Strata has partnerships with the world’s leading aircraft manufacturers such as Airbus, Boeing and Leonardo-Finmeccanica Aero-structures Division as well as a Tier one supplier to FACC AG, SAAB and S.A.B.C.A. Strata is wholly owned by Mubadala Investment Company PJSC (Mubadala), the Abu Dhabi-based investment and development company and is part of the Aerospace, Renewables & ICT platform that aims to advance the development of a leading aerospace hub in Abu Dhabi. Boeing B787 Vertical Fin Ribs. Yahsat’s first satellite Al Yah 1 was successfully launched in April 2011, and the company’s second satellite Al Yah 2 was successfully launched in April 2012. Yahsat announced its third satellite, Al Yah 3, extending their commercial Ka-band coverage to an additional 20 markets reaching 60% of Africa’s population and over 95% of Brazil’s population, marking the company’s first entry into Brazil. 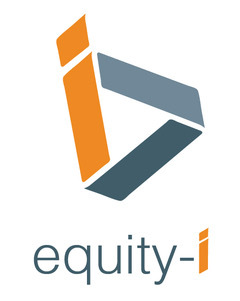 Equity-i was formed in 2006 to develop proprietary private equity deals with strategic tie-in to the growth economies of the GCC, particularly Saudi Arabia. With over seventy years of combined experience in finance, and over $2 billion transacted, Equity-i fully exploits our access to superior proprietary deal flow as well as our strong investor network in the region. Typically we partner with industry leaders, entrepreneurs and top management to fully develop each niche business, providing advisory services from capital raising to M&A on a selective basis, and working as a trusted partner to our clients. The principals have been involved in leading and structuring landmark private equity deals in the Gulf, Africa and Asia. Our primary sectors include Education, Natural Resources, Space, Telecom and Real Estate. DHL is the leading global brand in the logistics industry. Our DHL family of divisions offer an unrivalled portfolio of logistics services ranging from national and international parcel delivery, e-commerce shipping and fulfillment solutions, international express, road, air and ocean transport to industrial supply chain management. With about 350,000 employees in more than 220 countries and territories worldwide, DHL connects people and businesses securely and reliably, enabling global trade flows. With specialized solutions for growth markets and industries including technology, life sciences and healthcare, energy, automotive and retail, a proven commitment to corporate responsibility and an unrivalled presence in developing markets, DHL is decisively positioned as “The logistics company for the world”. DHL is part of Deutsche Post DHL Group. The Group generated revenues of more than 57 billion euros in 2016. As a global leader in aerospace and defense technologies, Orbital ATK designs, builds and delivers space, defense and aviation-related systems to customers around the world both as a prime contractor and as a merchant supplier. Our main products include launch vehicles and related propulsion systems; satellites and associated components and services; composite aerospace structures; tactical missiles, subsystems and defense electronics; and precision weapons, armament systems and ammunition. Headquartered in Dulles, Virginia, Orbital ATK employs more than 12,500 people in 20 states across the U.S. and several international locations. For over 100 years Honeywell has been a world leader in creating safer, more efficient and more comfortable travel experiences. Our first airport project was an airfield lighting project in 1913 at Berlin-Johannisal Airport. Our first airborne innovation was the world’s first autopilot as demonstrated in Paris on June 18th 1914 when Lawrence Sperry climbed onto the wing of his airborne Curtiss C-2 biplane. Our Intelligent Airport solutions span the breadth of the airport and the airspace surrounding it, driving efficiency and security in the terminal, on the runway and in the air, whilst improving airfield productivity. Our Aerospace technologies can be found on virtually every type of commercial airliner, business and general aviation jet, military aircraft and space vehicle in operation today. From kurb to gate, takeoff to landing, Honeywell solutions help make air travel safer, more productive and more comfortable for millions of passengers each year. Raytheon Company, with 2017 sales of $25 billion and 64,000 employees, is a technology and innovation leader specializing in defense, civil government and cybersecurity solutions. With a history of innovation spanning 96 years, Raytheon provides state-of-the-art electronics, mission systems integration, C5ITM products and services, sensing, effects, and mission support for customers in more than 80 countries. Raytheon is headquartered in Waltham, Mass. Follow us on Twitter. Saab’s mission is to make people safe by pushing intellectual and technological boundaries. We serve the global market with world-leading products, services and solutions from military defence to civil security. With operations on every continent, Saab continuously develops, adapts and improves new technology to meet customers’ changing needs. Annual sales amount to around SEK 28 billion, of which we re-invest about 25 per cent in research and development. We have around 15,000 employees in 35 countries across the world serving customers in more than 100 countries. SACS Boysen Aerospace Group is a privately owned company in Germany with aerospace history of 50 years within Standard Hardware distribution (Boysen GmbH) and 15 years within Engineering, Manufacturing and Assembly (SACS GmbH) with a portfolio of worldwide customers. The Group has successfully, year by year achieved growth in revenues as well as global footprint and are today approx. 270 employees. In 2017 the company XBAG GmbH was added in the group, to support the industry with advanced solutions for lithium-ion batteries. SACS Boysen Aerospace Group always aims to be a partner of choice and the latest investment is with an office and warehouse in United Arab Emirates, to closer serve the Middle & Far East region. Abu Dhabi Aviation (ADA) provides aviation offshore oil support and other services worldwide and in particular for the Emirate of Abu Dhabi’s oil and gas production companies. The company also provides VVIP passenger transportation, Emergency medical services, Search & Rescue for the United Arab Emirates (UAE), crop spraying, aerial construction, seismic support, firefighting and third party maintenance support. ADA is the largest commercial helicopter operator in the Middle East and currently operating a fleet of 52 helicopters comprising AW139, AW109, Bell 412, Bell 212 models and 4 Bombardier Dash-8 series turboprop transport aircraft. ADA employs a staff of over 1000, including over 150 Pilots and 283 Engineers for operations. ADA has supported and continued to support on and offshore oil production and mining exploration in Ethiopia, India, Brazil, Indonesia, Madagascar and Papua New Guinea support throughout the region and beyond. MAXIMUS AIR, an Abu Dhabi Aviation Group company, was established in 2005 to provide tailored solutions for moving outsized cargo. Today it is the largest all-cargo airline in the UAE and amongst the biggest operating in the wider Middle East region. Operating out of Abu Dhabi Airport, Maximus Air specializes in providing end-to-end cargo solutions especially moving outsized air cargo using a fleet that includes an Antonov AN-124-100, two Ilyushin IL-76TDs and variety of sub chartered freighters such as B747 and B777 in addition to many other Ilyushin aircraft. Other segments include VIP transport; the transportation of dangerous goods, equestrian and other live animals; rapid response; and humanitarian relief goods. The company’s philosophy is rooted in offering customers responsive, practical, and cost effective solutions which combine a personal approach with customer service. Royal Jet is an award-winning international private charter services provider, headquartered in Abu Dhabi, the capital of the United Arab Emirates (UAE). It is jointly owned by Abu Dhabi Aviation and Presidential Flight. Its Board of Directors is formed by representatives from the two parent companies, chaired by His Excellency Sheikh Hamdan Bin Mubarak Al Nahyan. The company's offerings are: luxury VIP Aircraft Charter, Medical Evacuation Services, Fixed Base Operations Services (FBO) and Charter Brokerage business. Royal Jet’s current fleet includes 11 owned aircraft; including 8 Boeing Business Jets, (which makes Royal Jet the world’s single largest independent BBJ operator), 2 Global 5000s, and 1 Gulfstream G300. In recognition of its service excellence, Royal Jet has been voted the ‘World’s Leading Private Jet Service Provider’ by the World Travel Awards for many consecutive years; the ‘Middle East’s Leading Private Jet Charter’ operator at the Middle East Travel Awards, and ‘Business Aviation Operator of the Year’ at the Aviation Business Awards. In addition, Royal Jet’s Fixed Base Operations facility (FBO) in Abu Dhabi was voted ‘Best in the Middle East’ by Aviation International News. Thales is a global technology leader for the Aerospace, Transport, Defence and Security markets. With 64,000 employees in 56 countries, Thales reported sales of €14.9 billion in 2016. With over 25,000 engineers and researchers, Thales has a unique capability to design and deploy equipment, systems and services to meet the most complex security requirements. Its exceptional international footprint allows it to work closely with its customers all over the world. Cyient is a global provider of engineering, manufacturing, data analytics, network, and operations solutions. As a Design-Build-Maintain partner, we collaborate with our clients to achieve more, and shape a better tomorrow together. With over two decades of experience, Cyient is well positioned to help transform the Aerospace & Defense product lifecycle for aero engines, structures, avionics, systems, and interiors. Our aerospace and defense solutions include design to certification, manufacturing, 3D printing, safety-critical engineering, automation-focused digital transformation, analytics, AR/VR, aftermarket and more. We support the aerospace and defense ecosystem by helping to increase efficiency and faster time to market. Strong capabilities combined with a global network of over 14,000 employees in 21 countries, we combine global delivery with proximity to our clients, functioning as their extended team delivering measurable and substantial benefits to major organizations worldwide. Since its establishment in 1884, Mitsubishi Heavy Industries (MHI) has built the foundations for the development of the entire manufacturing industry. MHI has especially played an important role in the space development in Japan, from the N-I rocket in 1970’s to current launch vehicles, H-IIA and H-IIB. From 2007, MHI began to provide launch services for both commercial and government missions with the H-IIA Launch Vehicle, and from 2013, H-IIB was added in the lineup. Today, MHI is also working on the development of Japan’s next generation launch vehicle, H3, a much more customer-oriented launch vehicle scheduled to debut in 2020.To become the best player in the global market, MHI will continue to push our utmost efforts on the development and sales activities for MHI Launch Services. With over 70,000 employees at more than 1,300 locations in over 100 countries, the Kuehne + Nagel Group is one of the world's leading logistics companies. Its strong market position lies in the seafreight, airfreight, contract logistics and overland businesses, with a clear focus on providing IT-based integrated logistics solutions. With our ‘’Supply The Sky" concept, Kuehne + Nagel covers Aerospace and Aviation logistic competencies through the entire aircraft life-cycle, from individual aircraft-on-ground (AOG) management through performance based supply chain solutions. Further information can be found at www.kuehne-nagel.com. SSL is a business unit of Maxar Technologies, a leading commercial diversified space company that plays at the nexus of the new space economy. SSL’s entrepreneurial reputation is built on a sixty year history of providing spacecraft systems to satellite operators that provide information, entertainment, and communications around the world. Now the company is transforming how satellites are designed and built based on its next-generation manufacturing facility and the ability to define payloads in software for on-orbit flexibility. Maxar Technologies has four business units. In addition to SSL, with its leadership in satellites and spacecraft systems, DigitalGlobe is a Maxar Technologies company and is the leader in Earth imagery with the highest resolution imagery and the world’s the largest archive of geospatial data available today. Radiant Solutions is a Maxar Technologies company that provides sophisticated data analytics to reveal information and insights where and when it matters most. The fourth Maxar Technologies company is MDA, which is the leader in space robotics. MDA built the robotic arms on the International Space Station, the Space Shuttle and every Mars lander and rover to date. MDA also provides ground stations, satellite radar imagery and other satellite systems. In addition to its leadership in commercial communications satellites, SSL builds the small Earth imaging SkySats for Planet and is building the next-generation WorldView Legion Earth observation fleet. Its expertise in high throughput satellites for broadband and multi-mission satellites is unmatched and based on its world leading spacecraft platform, SSL is partnering with NASA and Arizona State University to build a spacecraft that will travel to the asteroid belt to study an all metal asteroid. Talk to us about any and all of your space requirements. SkyWorks provides a full complement of asset management, investment banking, and management consulting services globally to the aviation industry through its subsidiaries SkyWorks Capital and SkyWorks Leasing. SkyWorks Capital, which operates the firm’s Investment Banking and Management Consulting Groups, is a premier aviation advisory and investment banking firm founded in 2002. SkyWorks Leasing, which operates the firm’s Asset Management Group, provides turnkey third-party portfolio asset management, remarketing, and technical advisory services for owners and operators of commercial aircraft. SkyWorks has performed services encompassing over 10% of the global commercial jet fleet including advising on aircraft order campaigns for over 1,100 aircraft; arranging financing for more than $20 Billion of aircraft deliveries; and performing remarketing and trading on over 250 aircraft. Emirates Global Aluminium is the largest industrial company in the United Arab Emirates outside oil and gas and the world’s biggest ‘premium aluminium’ producer. In 2017, EGA produced 2.6 million tonnes of cast metal, making the UAE the fifth largest aluminium producing nation in the world. EGA has t the highest production of value added products in the industry by both volume and proportion of its total production. EGA owns aluminium smelters in both Abu Dhabi and Dubai and its heritage stretches back to the 1970s. Today EGA is developing an alumina refinery in Abu Dhabi and a bauxite mine in the Republic of Guinea. For more information on EGA please visit www.ega.ae. Exechon Enterprises L.L.C. is an Abu Dhabi based company that develops and manufactures the most advanced machine tool robot in the world, the XMini, and our goal is to make available a system that can meet the future challenging manufacturing requirements of the Aerospace, Automotive, Oil & Gas and Industrial Fabrication industry. XMini represents a shift in manufacturing methodology, where the flexibility & dynamics of robots in combination with stiffness & accuracy of machine tools, embedded in a modular carbon fiber structure gives the industry an opportunity to meet the increasing demand for higher quality, shorter cycle time, less energy consumption, improved work environment and last but not least to be able to handle new manufacturing processes. The compact, lightweight and modular design also allows for instant integration into production flows, significantly improving the deployment processes vs. existing automation equipment, making the Xmini a ‘key component” in the Industry 4.0 platform. The U.S.-U.A.E. Business Council is the preeminent organization advocating on behalf of commercial bilateral relations in Washington, D.C. Launched in May 2007 and inaugurated by His Highness, Crown Prince, Sheikh Mohammed bin Zayed Al Nahyan and His Highness, Minister of Foreign Affairs, Sheikh Abdullah bin Zayed Al Nahyan, Business Council membership has grown to nearly 150 members based in both the U.S. and the U.A.E. and from across a range of vital commercial sectors. In addition to first-class programming, including trade missions of the highest levels, road shows, and must-attend events across the U.S. and the Emirates, the U.S.-U.A.E. Business Council is an important voice on critical policy priorities between the two countries. The Defense Services Marketing Council (DSMC) is a marketing incubator organization that specializes in accelerating the growth of companies within the international Defense, Space & Security industries. The Defense Services Marketing Council is celebrating our ongoing service to the most recognized Defense, Space & Security companies in the Middle East and around the globe. Together we have set a new standard for the intelligent exploration of best business development and marketing practices and trends in the Defense, Space & Security arena. The Council is an exclusive, "by invitation only” collaborative organization of business development, public relations and marketing executives who represent Defense, Space & Security related companies seeking to do business in the Middle East region. The Council was formed to serve as a catalyst to help its Members bring innovative, value-added programs to their shared, best customers - organizations at the very top of the decision making matrix. lt also serves as a forum for discussion of critical issues, trends and best practices in business development, marketing, advertising and public relations. -are purveyors of Defense, Space & Security products or services. -are committed and recognize the potential of innovative collaborations and relationship marketing. -are seriously committed to an open sharing of information and the energetic pursuit of creative collaborations/partnerships that will bring measurable value to their best customers. -agree to share with The Defense Services Marketing Council the results of their efforts so that everyone can learn and benefit from understanding what initiatives work and what initiatives do not work and why. Horváth & Partners is an independent, international management consultancy with over 850 highly qualified employees and headquartered in Germany. Our core competences lie in the fields of Corporate Performance Management and Performance Optimization – both for the entire company and for the business and functional areas of Strategy, Organization, Sales, Operations, Controlling, Finance and IT. We stand for project results which create sustainable benefit. For this reason, we accompany our clients from developing the business concept through to anchoring it in processes and systems. Our approach to consulting is based on an intensive partnership and cooperation with our clients. Fair and team-oriented interaction at all levels, with a constant eye on results, leads to solutions that overachieve client expectations. Horváth & Partners is a proud member of the Cordence Worldwide global management consulting alliance, which strengthens our ability to undertake consulting projects in all economic regions with the highest professional expertise and precise knowledge of local circumstances. Nation Shield is the official journal of UAE Armed Forces and the official media partner of Abilities ME, IDEX , Dubai Airshow and ISNR. Nation Shield also partners with a host of other international Exhibitions like DSEi, Eurosatory, FIDAE, Paris Airshow, Farnborough, SOFEX to name a few. Established in 1971, 45,000 copies of Nation Shield is published every month by the UAE Armed Forces. Public distribution is carried out through agents who circulate directly to selected readers, while private distribution is channeled as complimentary copies sent to top ranking military and civil officials in UAE, their counterparts in the Arab Countries, government departments, embassies, academic institutions, research centers and to international organizations. Nation Shield is publishing show dailies during IDEX and Dubai Airshow. 15,000 copies will be printed each day and distributed at these exhibitions to the Rulers of different countries, to the official delegates and to the Decision makers who participate in this prestigious event. In addition to that, it will be distributed to all 4 star and 5 star hotels in Dubai & Abu Dhabi. Launched by Defence Minister HH Sheikh Mohamed bin Rashid Al Maktoum in 1973, AL JUNDI Journal, a monthly defence magazine that deals with different military subjects and latest news of defence weapon systems. It also covers all activities of the UAE Armed Forces, big events such as Dubai, Le Bourget and Farnborough aerospace Exhibitions, IDEX and SOFEX defence exhibitions and a like, in addition to CISM tournaments. 10,000 copies of Al Jundi Journal are usually circulated to all UAE and GCC decision-makers, including offices of their Highnesses, UAE President and Supreme Commander of the Armed Forces,Vice President, Premier and Ruler of Dubai, Crown Prince of Abu Dhabi and Deputy Supreme Commander of the Armed Forces, Rulers of the emirates, our embassies and military attaché offices abroad, foreign embassies, consulates inside the UAE, pan-Arab military academies, staff colleges and army units. The Middle East and North Africa Business Aviation Association (MEBAA), is the official representative of the business aviation industry in the Middle East and North Africa (MENA) region. MEBAA is a non-profit association and a member of the International Business Aviation Council (IBAC), established in 2006 with the mission to provide a platform for members of the business aviation industry in the MENA region to gather, understand and communicate the needs and benefits of the industry. As part of its current growth strategy, MEBAA seeks to implement operational safety and efficiency by providing best in-practice training, lectures and conferences, establishing codes of conduct, and providing industry data. Today, MEBAA represents over 260 companies within the MENA region and provides several products and services to its members, including MEBAA Insurance, one stop shop. In addition to various networking events, MEBAA hosts the MEBAA Show, which ranks as one of the largest three business aviation show in the world and MEBAA Show Morocco the new gate of business aviation in North Africa. The Space Generation Advisory Council in Support of the United Nations Programme on Space Applications is a global non-governmental, non-profit (US 501(c)3) organisation and network which aims to represent university students and young space professionals ages 18-35 to the United Nations, space agencies, industry, and academia. Headquartered in Vienna, Austria, the SGAC network of members, volunteers and alumni has grown to more than 13 000 members and alumni representing more than 110 countries. SGAC was conceived at UNISPACE III in 1999, whereby states resolved, as part of the Vienna Declaration, "To create a council to support the United Nations Committee on the Peaceful Uses of Outer Space, through raising awareness and exchange of fresh ideas by youth. The vision is to employ the creativity and vigour of youth in advancing humanity through the peaceful uses space". SGAC holds Permanent Observer status at the United Nations Committee on the Peaceful Uses of Outer Space (UN COPUOS) and regularly takes part in the annual meeting, as well as its Legal and Scientific and Technical Subcommittees. SGAC holds consultative status at the United Nations Economic and Social Council (UN ECOSOC), contributing to discussions on the role of space in achieving the UN Sustainable Development Goals. AmCham Abu Dhabi, the trademark of the American Business Group of Abu Dhabi, is a member of the global network of American Chambers of Commerce. The mission is to promote commerce, investment and goodwill between the United States of America, the membership, the Emirate of Abu Dhabi and the United Arab Emirates. AmCham Abu Dhabi is an independent, not-for-profit association comprised of Fortune 500 corporations, small and medium size companies and prominent business leaders and entrepreneurs. AmCham provides a uniquely situated platform through which executives pursue and discuss issues impacting business operations between the US and UAE. The Board of Directors is elected annually by members and includes four officers and 11 members at large. The Chairman of the Board is the spokesperson for the membership. AmCham Abu Dhabi is managed by an Executive Director and professional staff. 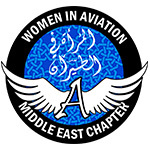 Women in Aviation - Middle East Chapter, a non-profit association dedicated to providing opportunities to women striving for careers in the aviation industry. WAI-ME aims to bring together all women in the Middle East who are associated with aviation in order to be inspirational role models for future generations of women to encourage consideration of a fulfilling career in aviation. One of the major goals of the chapter is to engage all members in an educational network in order to appreciate the many contributions and achievements of regional women to the industry. The Middle East Chapter for Women in Aviation is committed to ensure its mission & goals are comprehensively realized in the immediate upcoming phases thus building up a culture of understanding and appreciation for the chapters vision amongst the local community and the region as a whole. 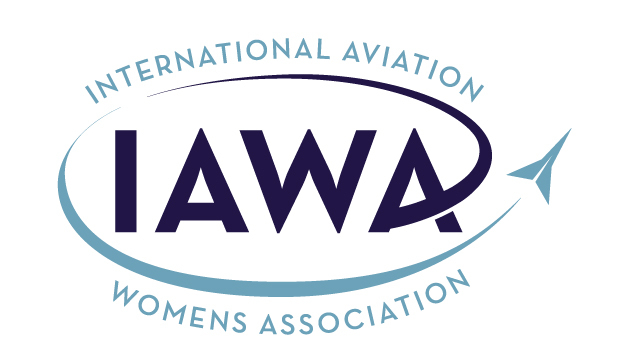 The International Aviation Womens Association (IAWA) is an international organization for women who hold positions of impact in the aviation and aerospace industry. Founded in 1988, IAWA brings together women of achievement and promotes their advancement throughout the world. Women are assuming greater and more visible roles within the industry. Through annual global conferences, regional receptions and connects, IAWA provides a forum to share views on matters of importance to the industry, as well as to women in general. Learn more at www.iawa.org. The Canadian Business Council Abu Dhabi embarked on its journey in March 2005 aiming to smartly connect business people from Canada and UAE to opportunities in the region today and tomorrow. Our membership includes Canadians as well as interested non-Canadians which are leading corporates, executives and professionals working in a wide array of industries. CBC holds regular networking events and meetings that along with the ease of access to an online member directory help develop an engaged community that provides a great deal of support to each other. CBC organizes seminars and workshops, shares appropriate sources of information and consultation that educate our members and guests regarding trade and investment opportunities, practices and regulations in Canada and the UAE. We are also dedicated to the development of trade and corporate investment between Canada and the UAE and to provide assistance to the Canadian companies contemplating to establish a trading base in this country. The realms of aviation and space exploration have always been synonymous as well as complementary. The combined discipline of the two – aerospace - covers flights both within and beyond the Earth’s atmosphere, inspiring mankind to reach further than imagination and push past the boundaries of possible. The Harvard Business School Aerospace Alumni Group was founded out of that very passion for discovery, and was brought together by a mutual interest in driving the industry forward. Today, the group serves as one of the foremost resources for all matters involving the aerospace world, built on the pillars of Science, Technology, Engineering and Business. Created specifically for alums of HBS, the extended Harvard community, as well as non-Harvard alums, Harvard Business School Aerospace Alumni Group offers an exceptionally lucrative platform for interaction, knowledge-sharing, exchange of ideas, networking and discussing future prospects. Our mission is to become a prominent, self-sustaining global association focusing on aerospace, providing members and sponsors from the aerospace community with access to world-class resources, information, knowledge and experience that holds value. Founded in 1999 under the name ‘Creativemode’, ideanco is an Idea innovator company and management-consulting firm that prides itself in being an early adopter of crowdsourcing, a major innovation key differentiator. Ideanco – a name born out of the fusion of ‘idea’ and ‘company’ – has used this business model as a means of generating better ideas, better creative work, and ultimately high-performance output for our clients. We work with clients in various sectors of service and industry, and help them identify their highest-value opportunities, address their most critical challenges, and transform their businesses. The ideanco philosophy ensures long-term competitive advantages, which result in building organisations that are more capable and sustainable. Oxford Business Group (OBG) is a global publishing, research and consultancy firm, which publishes economic intelligence on the markets of the Middle East, Asia, Africa and Latin America and the Caribbean. OBG offers comprehensive analysis of macroeconomic and sectoral developments, including banking, capital markets, energy, infrastructure, industry and insurance. OBG’s acclaimed economic and business reports are the leading source of local and regional intelligence, while OBG’s online economic briefings provide up-to-date in-depth analysis. OBG’s consultancy arm offers tailor-made market intelligence and advice to firms operating in these markets and those looking to enter them. Aviation Business is the only publication covering the aviation and airport sectors throughout the Middle East with a BPA audited circulation. Each month 4622 subscribers read the magazine as it seeks to cover the dynamic growth of the local aviation industry. Circulated to industry professionals in the MENA region each month, the magazine covers all aspects of commercial aviation and airport development, including aircraft, IT and airport technology. 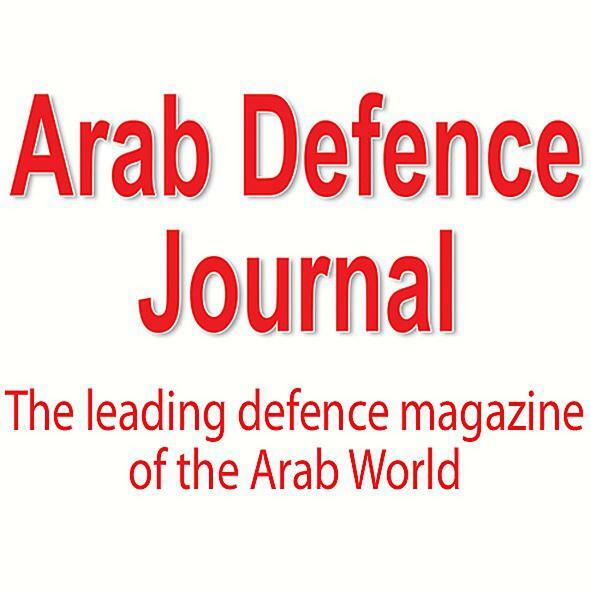 Arab Defence Journal is the only monthly Arabic defence magazine. Published since 1976 and now also online, the magazine reports on world news and current affairs, with features on land systems, naval technology and aerospace, plus previews and reviews from the top international exhibitions. The 31,226 paid subscribers include Arab government ministers and senior military officers in the Arab world.